In 1976, Ted Danz Heating & Air Conditioning opened its doors in the Capital District. Ted and his mom, Lucille, were the only employees. 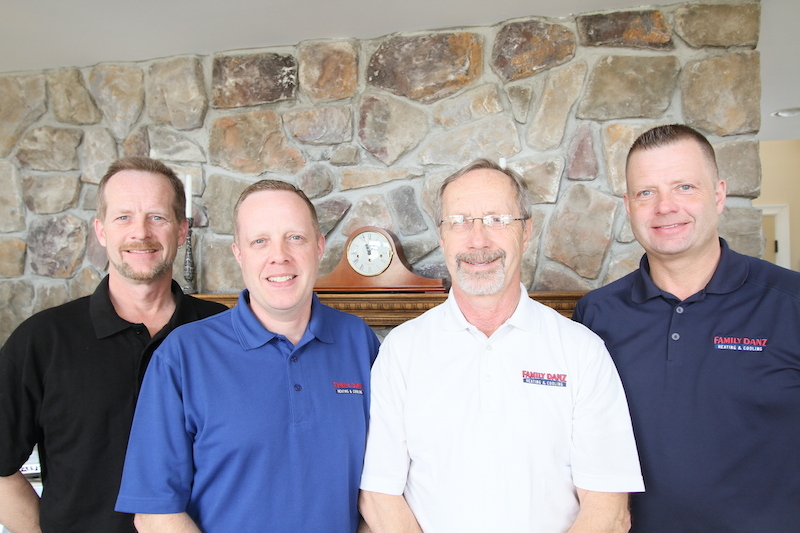 She worked every facet of the business and as Ted describes, “She pretty much ran the place!” Family Danz Heating & Air Conditioning, Inc was founded once Ted’s three sons joined the family business. By starting a business that focused on the residential side of heating and air conditioning, Ted was able to focus on the community, ensuring his neighbors were kept warm in the winter and cool in the summer. Once the three sons were fully integrated into the establishment he expanded the company by offering commercial projects as well. Ted III is the director of design and layout, Timothy heads the commercial department while Todd is the day to day operations director. Family owned and operated in the Capital District for over 30 years. Who can you entrust your family’s comfort and home needs to? Trust your neighbor, Family Danz and call (518) 427-8685today.